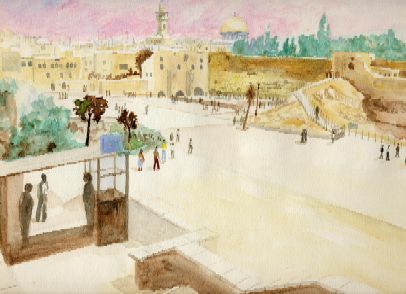 The Western Wall is a one quarter mile long retaining wall that today forms the eastern boundary of the Temple Mount. For 19 years, east and west Jerusalem were divided by walls and barbed wire. Jews were denied access to the eastern part of the city, which was under Jordanian rule. Synagogues and cemeteries were destroyed and the area around the Western Wall was turned into a garbage dump.